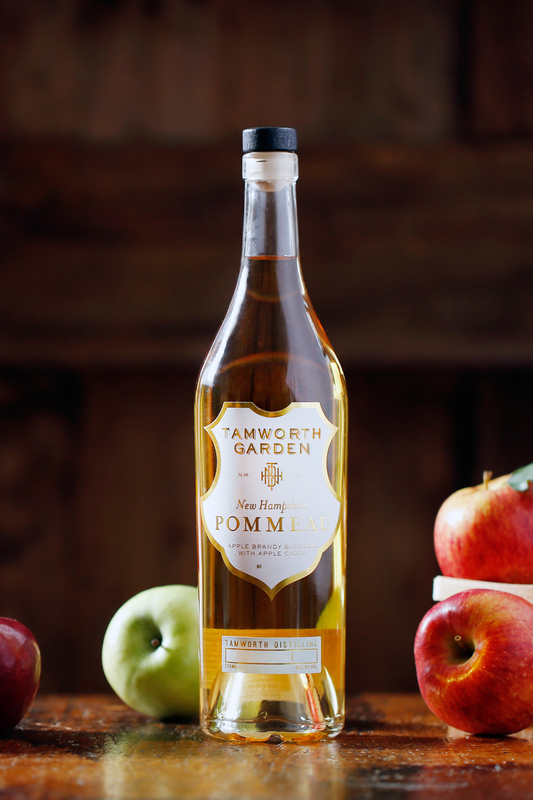 France has a lengthy history of pommeau — a blend of Calvados and fresh cider aged in barrels. Here at Tamworth, with our supply of delicious New Hampshire apples, we’ve put a distinctly New England twist on the French classic. We combined fresh, sweet apple cider and distilled apple brandy, then aged it in a spent bourbon barrel for over a year before bottling. The resulting spirit is somewhat wine-like, with fresh apples and honey on the nose and crisp, tart apple flavors on the palate mellowed by nutty vanilla and caramel notes from the bourbon barrel. Its lower proof makes it an easy straight sipper, or a component in a low key classic cocktail like a Jack Rose or Old Fashioned.